A top-tier beer shop with taps, plus the ability to purchase and pop bottles/cans on-premise at all three locations, make Bottlecraft stand out from the herd. A true bottleshop in a land of liquor stores with beer sections, the prices are reasonable and the selection well-curated. The ancillary items offered vary slightly at each location: you can get Venissimo Cheese at North Park or a myriad of treats from Liberty’s Public Market. 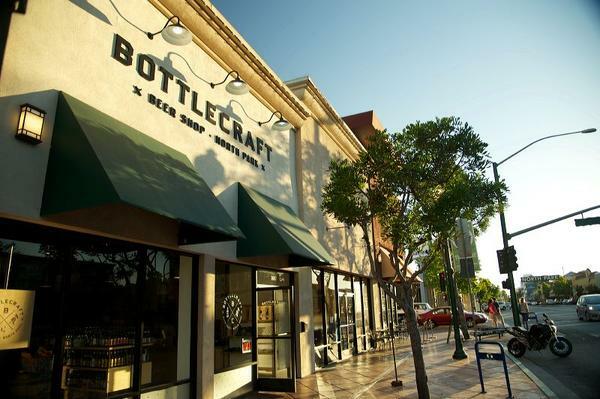 Bottlecraft publican Brian Jensen will open Bottlecraft’s next edition in Solana Beach in 2017 after recently acquiring San Diego BeerWorks.